Valerus awards F&C Engineers the contract to provide mechanical engineering, foundation engineering and drawings for the Crestwood Willow Lake Plant. The scope of work includes a foundation location plan with all foundations shown on the drawing with a key to construction details for each typical foundation. 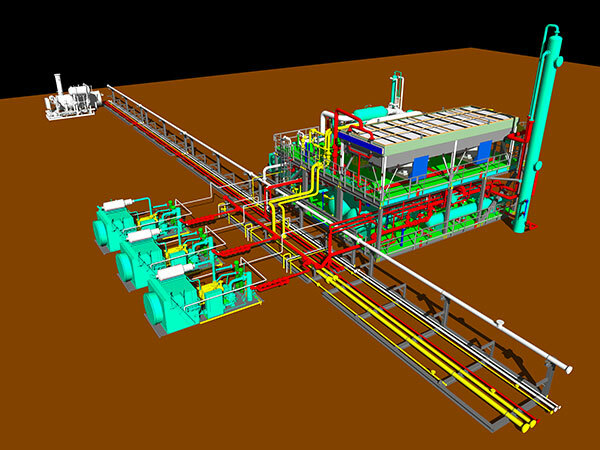 The 35 MM Refrigerated JT Plant is designed to process 10 to 35 MMSCFD of natural gas and 3,000 to 6,000 BPD of hydrocarbon liquids. The design of the plant has been optimized to meet sales gas and NGL product speciifications while minimizing utilities usage and ensuring trouble-free, low-maintenance operation. The plant can be operated either in refrigeration or refrigerated JT mode.